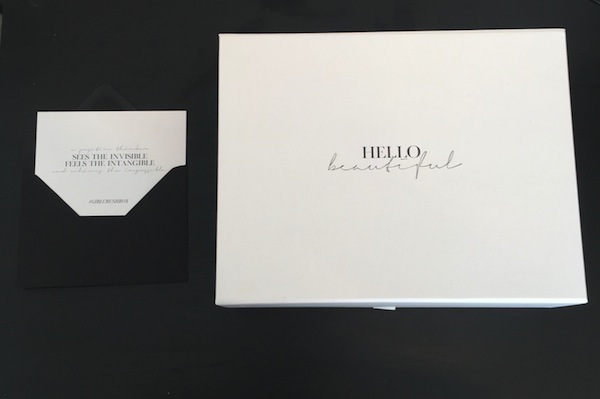 With the beauty box market fast becoming saturated with familiar featured brands and similar products, new subscription boxes are emerging to cater to jaded customers looking for something new and novel. #GirlCrush is an intriguing newcomer that has appeared on social media including Instagram and Facebook. #GirlCrush is different from other boxes by featuring solely international female-owned businesses and donating 10% of its profits to women’s charities chosen by a monthly newsletter poll. Currently undergoing an overhaul as of 1st of June 2017, it is changing from a monthly subscription box to non-subscription, and from being a ‘mystery’ box where items are selected for you as a surprise to one where you can choose your own items or opt into the surprise element. As in previous months, #GirlCrush promise to deliver 6-8 fashion items (clothing and/or accessories), beauty, stationery, tech accessories and homeware products, which are tailored to your personal preferences where possible. The current price for a box is £20, inclusive of shipping and handling and its contents are stated to be up to a value of £150. Boxes are shipped on the 15th of each month, or on the next working day. It is worth noting when you buy a box, you will receive the following month’s box. The email sent regarding the company changes on the 20th of May have stated that shipping maybe more flexible in coming months. You are invited to complete a short survey for your preferences which includes your dress size, bra size, favourite colours, phone type, skin type, hair type, and birthday excluding the year. Invisii underwear are seamless underwear designed not to show under gym-wear such as leggings or yoga pants. Although I personally will not use mine as they are small for my sizing, the material is of good quality and the set is packaged attractively. Both the Kosmea Organic Rosehip oil and the Pure Smile teeth cleansing foam are welcome additions to my bathroom stash and are generously full-sized. 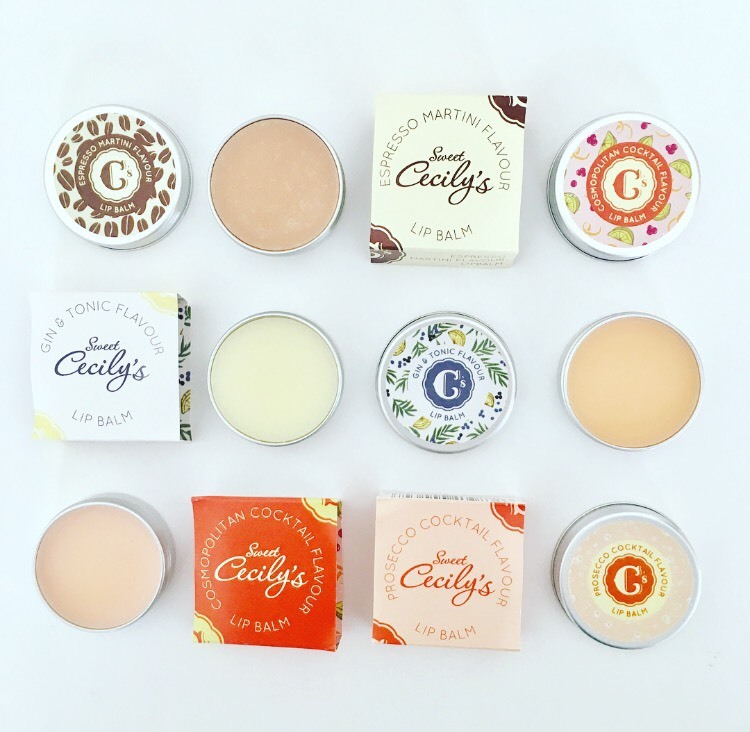 I was most thrilled with the Sweet Cecily cocktail lipbalm set, which contained 4 pretty tins of lip balms made in Whitby, England. Their size is just perfect for slipping into a pocket or handbag for regular use, and are attractive that they would be very welcome displayed on a dressing table. Fit Tea’s description of their detox night tea is ‘caffeine-free and contains effective ingredients such as moringa leaves, rose petals and ginger. One cup of this tea every night helps to detoxify and relax your body after a long day’. A month’s supply of loose tea is a generous inclusion, especially if you consider that many boxes in this price range usually include one or two tea bag samples. The Erin Condren compliment cards are an interesting idea, and would be sweet to slip in a card or note to friends and family.Unfortunately though the gift card is of generous value, at US $25, shipping to the UK is fairly steep beginning at US $19.95 and you would need to keep in mind customs charges. However you may think it worthwhile if you are a fan of her planners or accessories, which come in cheerful signature prints and the option of personalisation. Happily I have family who are Stateside, so they are going to receive a lovely surprise. In all, the box contains a variety of new brands and different items to any I have seen before in a few years of receiving subscription boxes. They are all of good quality and the beauty items have long expiration dates and are full sized. 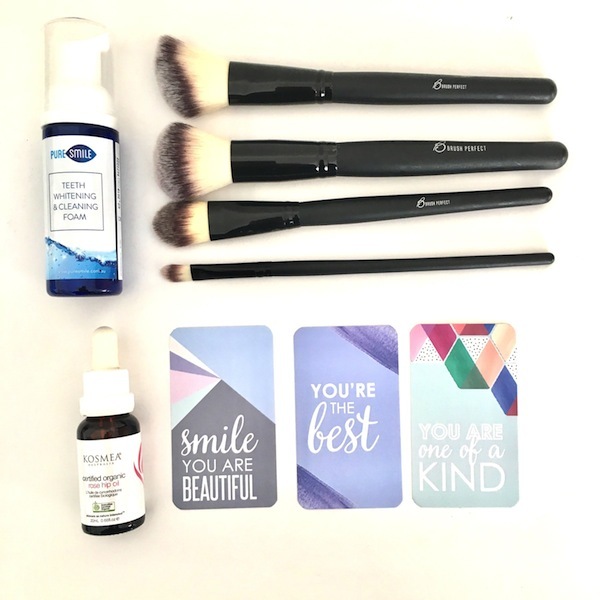 Some of the items such as the Brush Perfect set, compliment cards and Invissi set have been seen in previous months #GirlCrush reviews, but this can be a positive if there is something that you have seen and wish to purchase yourself. 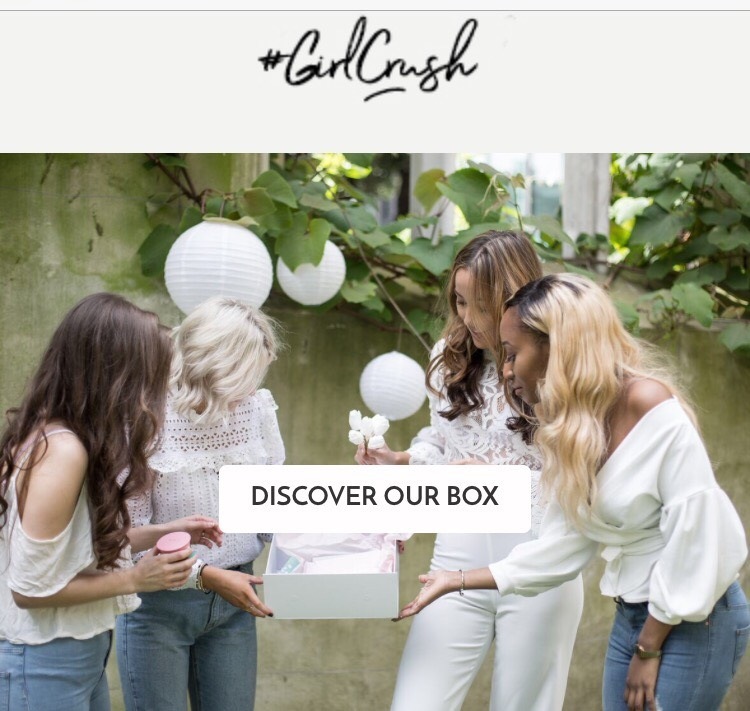 #GirlCrush are a newcomer in the rapidly expanding world of subscription boxes and have an interesting concept of being a tailored lifestyle box, from women-owned brands. There is regular email communication after subscription including confirmation of your order, inviting you to activate and complete a profile, and to confirm shipping. With my own two boxes, the deliveries were timely and the products arrived in excellent condition. Out of curiosity to see the level of tailoring this company could offer, I have seen the contents of other boxes through social media and have seen a very large range in what is included in each box. Others have received what would seem very personal items such as Kumari hair extensions, Pro Blo hair curling sets, athletic-style underwear sets, dresses, and some rather niche perspex jewellery. Some have been very pleased with their boxes, while others have been incensed to receive unusual or ill-fitting clothes and jewellery. The retail value of each box is as varied as their contents, but each far exceeds the £20 full cost even without going to the pains of trying to convert international currencies and totalling the sum, or considering the inclusive shipping and handling. Even with the minimum 6 items, each item would average only £3.33. A reflection on this would be that ‘tailoring’ can only go so far. If you consider the price range of the box, the limits of the profile questions, as well as the limit of stock items, it is remarkable that ‘tailoring’ is offered. On social media, I have seen some customers reporting that their request for non-clothing items only, were obliged. With the recent announcement of changes to the box, even previously unhappy customers have expressed interest in future boxes. 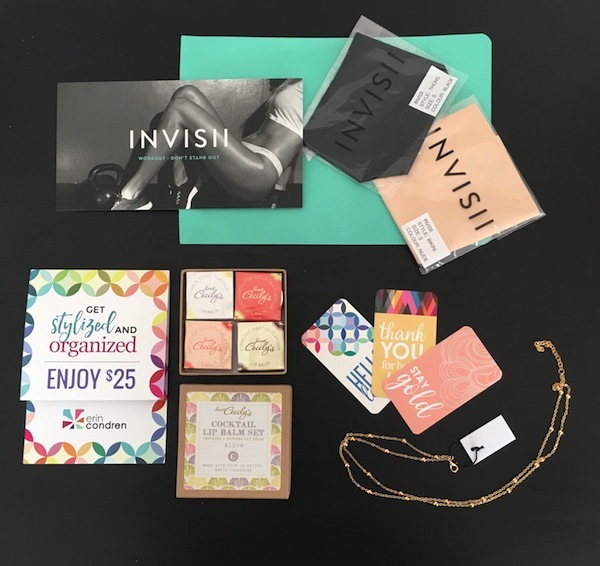 As someone who has subscribed to various lifestyle and beauty boxes over 3 years I was pleased to see something new and different, with all personally unknown brands from the UK, Australia and the United States. Their stock has been by far the most varied of any box I have seen available in the UK, with the exception of Latest in Beauty where you pick your own items. A subscription to #GirlCrush maybe a calculated risk of buying something you may or may not like, just as it is with buying other beauty or lifestyle boxes where you don’t know the full contents. A saving grace is that if you don’t like your box, the individual item costs far exceed the cost of subscription. Although not every item in my box were to my personal needs and tastes, I was easily able to sell or swap most items for things I would happily keep. As seen on various selling sites and swap groups, one person’s unwanted items may be someone else’s coveted treasure. #GirlCrush are evidently in their early days with customer issues appearing as they are still amending their site and tweaking their product to suit their intended audience. They seem responsive to feedback in that they are changing how their box items are selected, to allow customers to either choose their own items or opt into a mystery box based on preferences. Their presentation is lovely, and delivery has been consistent. Value for money is more than fair factoring shipping and handling costs. Consider how difficult it can be for your loved ones to pick an item of clothing or jewellery to your tastes, or the usual risk of ordering clothing online that might not fit, and you may appreciate the challenges of achieving the perfect box. The variation of items in their boxes is both a strength and a downfall. For the while, I am curious to see what others receive and will watch with interest as this fledgling company evolves. I would have recommended thinking about whether you are prepared to receive a box of items you may dislike for the £20 price tag before you sign up to this box, however, the recent development of choosing your items may take most of this risk away depending on how this is managed. Will it be a scramble for the best items on the first of each month, or will items be released one by one in the style of Latest in Beauty? Will there be a credit system to weight higher value items from lesser ones, like Love Me Beauty? Or perhaps it will offer a selection of varieties like Moi Meme Box. Decidedly true to its modern name, #GirlCrush carries with it connotations of youth and the yearning affection from afar which may or may not result in true love. It seems to promise the Holy Grail of monthly boxes with its tailoring, support for women in business and charity, but currently appears to be the wildcard of the box world. As yet there is no referral scheme to introduce friends to the box, but I’m sure it’s something they are working on.